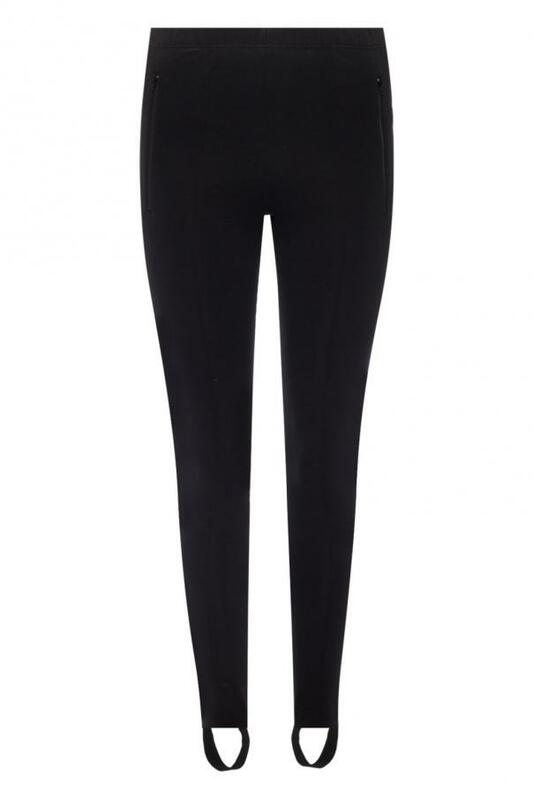 Black leggings featuring front crease from Balenciaga. Elasticated waistband. 2 zip front pockets. Stirrups at cuffs.